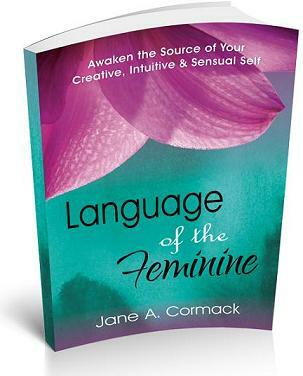 Read a free chapter from my book, Language of the Feminine – Awaken the Source of Your Creative, Intuitive & Sensual Self! For more buying options and book details go to the ‘Book‘ tab on this site. I love this book about feeling fully alive as a woman! Jane offers such a rich palette for women. She invites us to open ourselves on a daily basis for so many different things that surround us by nature. It is an eye-opener on how little we need, to be able to recalibrate ourselves. She opens many doors and brings clear steps to help women find their own style, inner wisdom and inner guidance. – Marijke Derèse, Psychotherapist & Women’s Work at Essensual, Belgium. At a moment in time, when the world is calling us all to reconnect to the Deep Feminine within, comes this wonderful guide, Language of the Feminine, to help reconnect us to our true feminine power. 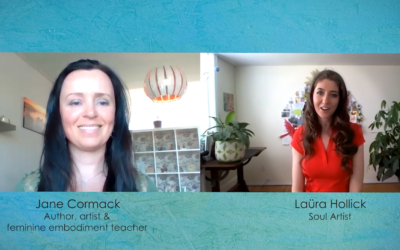 Jane Cormack guides us to understand where our true roots are by using self-inquiry projects to reach a more trusting, more complete and truer aspect of Self. This is a beautiful book for all young women, women young at heart, and women encouraged to find themselves and their true power, at whatever stage of life. —Sabina Rademacher, Coach and Facilitator in Leadership, Finding your True Purpose and Sacred Intimacy. Member of facilitators at Rising Women Rising World, Berlin. – Toni Bate, Creative Director – Indie Publishing Limited, Scotland, UK. Just Reading this Book is Like Therapy! I loved this book, a lot! Every time I sat down to read it, I felt at peace. The language is so poetic and sophisticated and the whole cultural and artistic heritage of Jane is palpable. I felt the energy behind every word in total alignment with who she is and the work she is doing in the world. The language, topics and whole spirit of the book is so feminine and felt soothing to my soul. For a modern women—who is too often living from her masculine essence— just reading this book would be therapy to bring her energies into balance. —Nora Nagy, Health & Beauty Coach, Here & Now, Berlin. Digital Home Study – Create Your Own Personal Retreat – Begin your journey now > Entering the Sacred Portal – Explore the Intuitive Power of the Yoni & Womb through Art!